In the last few years, Interactive Infographics have changed the way we perceive data. We humans, tend to remember only 20% of what we read. And 80% of what we see. A significant difference between the two stats. Well, based on this theory, numerous marketers since long, have been testing their success through umpteen visual contents. 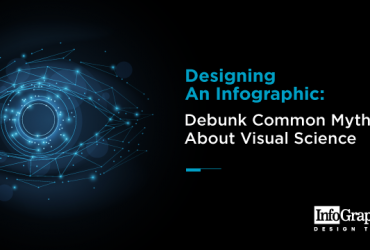 One of the most named modes of visual contents is, Infographic! Infographic. The name says it all. Essential information wrapped in a cluster of eye-catching graphics, beautiful colors and visually appealing diagrams, breaking the complex data into understandable nuggets. This is what Infographics are and have been since the last 7-8 years. And still now, Infographics are considered to be an inevitable part of content marketing. Not only this, the netizens look upon Infographics as an authentic source of information. Hence, all the fame. As a social media marketer, I simply can’t help but wonder, as to what immense power a single piece of Infographic has. In terms of share, reach, click, engagement, generating awareness, brand influence, and many more. 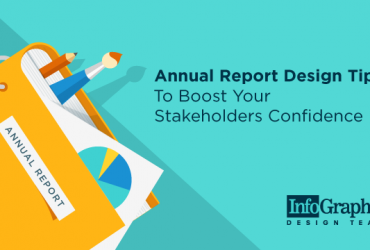 From just a static piece of diagram and pie charts, these pieces of art are now an entertaining tool for marketers who attempt to present mundane data. However, when something gets used to death, it loses its earlier charm. And the same is with Infographics. They have been used so much and adopted in so many marketing strategies, that there’s a dire need of something more novel. Static pictures are OK, but when about animated and interactive graphics that can truly interact? Interactive Infographics have been welcomed by all with open hands and in the last couple of years, they have become the most preferred marketing tool. 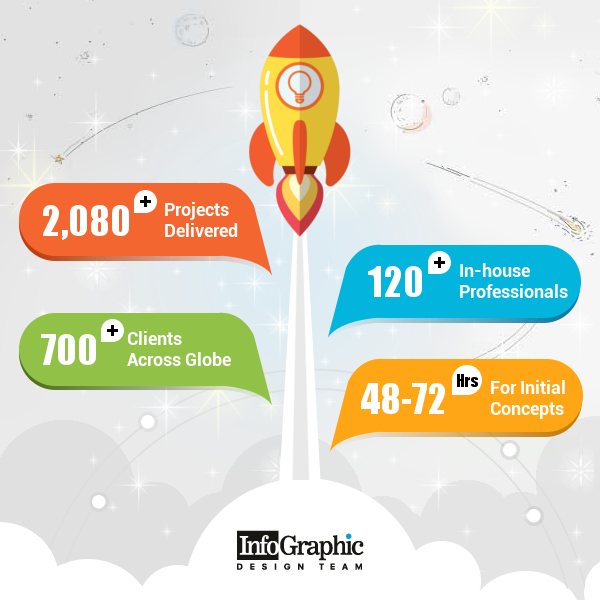 Generally, Infographics are long and some of the sections in them are quite target specific. Some may feel those as irrelevant. Also owing to the shorter span of our attention today, long Infographics cannot make a strong impact on us. On the other hand, when we add interactivity to them, the impact gets stronger. Clickable features and interactive buttons make it easier for users to scour the relevant content and get to the specifics. Scrollable animations keep them engaged and entertained. This growing situation has led to the creation of more Infographics with interactive options. But what are the smart tips to create Interactive Infographics? There is no rocket science for creating one of those. But plenty of tips are there to make it easier even for a novice to design and produce a highly engaging and lively Interactive Infographic. Choosing the right tool is imperative. Without the right tool at your disposal, it becomes increasingly difficult to create an Interactive Infographic. There are a plethora of free tools and resources that can help you in the task. It’s just that you have to make your own choice and choose the best one. The most preferred and used online tool used by marketers and aspirant blogger who want to embellish their contents with more interactivity. Canva has hundreds of templates with amazing designs. You just have to choose your template, insert the data following the pre-made layout and incorporate the scrolling effects and other interactivities. Another most suited and preferred platform available online, that has a number of ready-made templates. One can create stunning Interactive Infographics using Visme.co, which will make heads turn. Templates are available for various topics and choices are many. A fascinating feature of Visme is, it has got an unlimited option for layouts, animations, graphical objects and icons. With all these tools at your arsenal, you can always create amazing Interactive Infographics that can more than serve your purpose. However, professional guidance is always recommended for these kinds of tasks. In case you are stuck at any point, or is at a loss to understand a specific command, your effort will face a setback. And not to mention the time frame will increase. There are several professional design agencies who can take away all these woes from you and can create winsome Interactive Infographics. Static or Interactive, an Infographic is fundamentally long. Well, there are exceptions and we do sometimes come across Micro-Content and Short/Mini Infographics. But mostly Infographics are what we see a long data design with engaging visuals. That’s amazing, no doubt in that. But since the data flow in a normal Infographic is quite a lot, at times a reader may feel bombarded. That’s the reason why you must play a subtle hide and seek game here. To bring back the reader’s lost concentration, hide some content and show only the tip of the iceberg to the readers. Let them click upon the clickable parts and find out the hidden content. Though you must plan the content in a fashion that tickles the curiosity of the readers and persuades them to click. Once they click, the hidden data unveils. Infographics are all about images, graphs, charts and icons. But the moment you turn it into an Interactive one, you have a lot of options to break the monotony. When a user can click upon a button and from that, a new data comes up, this transition breaks the monotony. And not only that, but you may also include video snippets and engaging audio files into your Interactive Infographics. If you can include a short voice note of you explaining a process that is shown on the Infographic, your target audience will take you more seriously than ever. Apart from breaking the monotony, incorporating audio and video snippets can amplify your credibility. To create an all-purpose Interactive Infographic, you need to keep a check on this. Think of your audience before freezing upon a specific visual appeal or look and feel. Because the design you create must emote the distinctiveness of your target audience. Since the Infographic is intended for your audience, their age, gender and social status must be considered here. If your audience is young adults, then keep the visual appeal reflecting their style and preferences. If you target the teenagers, keep things vibrant and flashy. And if the intended audience is the middle-aged groups, then mellow down the visuals keeping up with their temperament. A data is dull and boring if it is not put in a story-telling manner. Because stories have a logical flow, it is so entertaining to read a story. So to make your Interactive Infographic fun and fascinating, you must tell a story through your content. Work upon the bits of your content and try to put the data in a way that urges the viewers to take action. Here meaningful as in, relevant, valuable and updated data that your target audience can make use for. Choose the facts you want to scribble down and be sure about their sources. 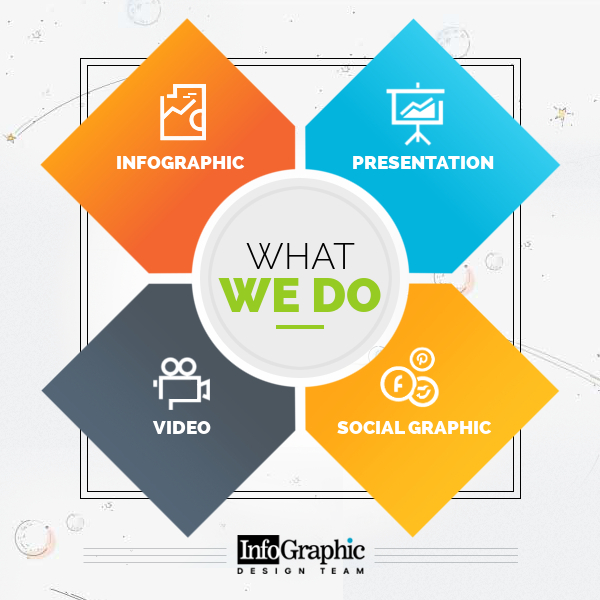 Be clear in your head as to which are the main points that you want to highlight in the Infographic. And after a careful analysis, start collecting your data. During the R&D process, everything seems to be relevant and essential. But in reality that is not the case. All that seems important is not! Sieve the data through your intellect and put only meaningful data. Creating Interactive Infographics is not rocket science. But assuming it to be a petty task is wrong. One small error and you lose it all. Check your Interactive design for any obvious bugs, like responsiveness, speed and functionality. Preferably check on different devices because your audience will happen to have more than one devices with them. Otherwise, your entire diligent effort will go waste just because the designs won’t work on the devices properly. So this was the technical part. As for the content/copy part, nothing would be more frustrating for your audience to find silly typos in the content. Or an incomplete sentence, or maybe a drastic spacing issue. Get your content checked and proofread by someone else, what we call a ‘second pair of eyes’. So you are all set with your masterpiece. Now what? It’s not a thing to be hoarded with oneself, rather should be appreciated by everyone. So, share! Yes, share and tell the world about your creation. If you intend to promote an upcoming product/service, or a campaign, share the design on a specific public domain. So that everyone can interact with it, and more importantly, find it. Leverage all the leading social media platforms, viz, Facebook, Twitter, Pinterest, Google+, with relevant hashtags and active backlinks. Even your caption should be such that coerces the netizens to click on the button to view the Infographic. 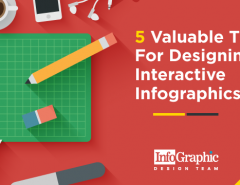 So, now you are quite ready to create your own engaging and compelling Interactive Infographic that would more than serve your purpose. Tips to create an Interactive Infographic may apparently look simple, but these can help a person go a long way. Interactive Infographics are a trend in today’s content marketing strategies. The sooner you understand the worth of these interactive and clickable designs, the faster you reach the pinnacle of success!